Harley's here to help keep things clean! 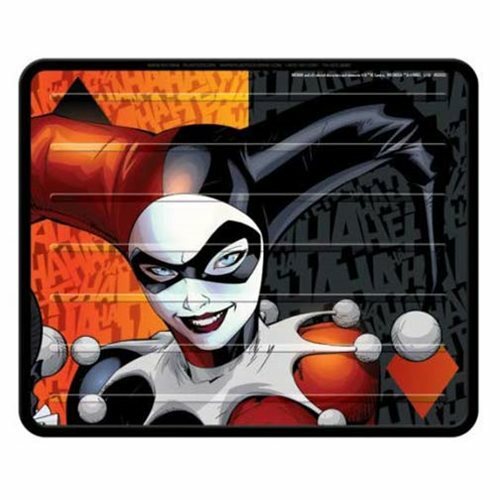 This Batman Harley Quinn Ha Ha Plasticlear Utility Mats feature a cool "Hahahaha" background colored red and black like Harley's outfit, along with Harley Quinn herself in the midst of it all. Measures 24-inches tall x 18-inches wide. Ages 15 and up.